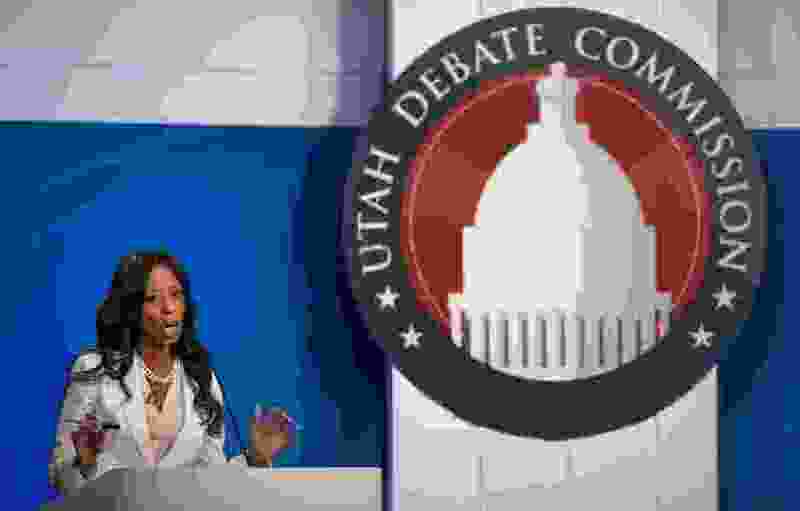 (Scott G. Winterton) Congresswoman Mia Love answers a question as she and Salt Lake County mayor Ben McAdams take part in a debate at the Gail Miller Conference Center at Salt Lake Community College in Sandy as the two battle for Utah's 4th Congressional District on Monday, Oct. 15, 2018. A little research into the life history of Rep. Mia Love indicates that she graduated from the University of Hartford with a degree in musical theater. She also turned down an offer to appear in the Broadway show “Smokey Joe’s Cafe” that would start two days before her marriage. Now, after two terms in the House of Representatives, it’s obvious that Love’s current role was poorly cast. She even disses her fans … er, constituents … by meeting only with a well-selected few. My solution? Let’s give her what she’s wanted all along. Vote for Ben McAdams, and let’s send Mia back to Broadway.